You still have time to get signed up to receive your additional discounts during our upcoming Veterans Day Sale. 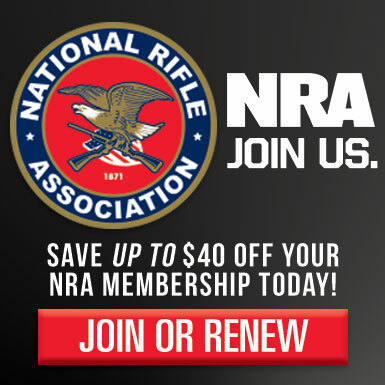 Each and every purchase (except rifles and rifle accessories) you will receive a 10% discount, 365 days a year. Nosler appreciates you and honors your service and sacrifice! Final Chance! Fall Rifle Ends Sunday. Get a free case of ammo with select Nosler Ready to Ship rifles! Some rifles have had prices slashed! Get your Savings of $300 to $929 dollars with the Nosler Fall Rifle Sale! Sale end Sunday 10/2 at Midnight! 15% OFF All In-Stock / Ready to Ship Rifles! *Varmageddon AR and Components Excluded. 10% OFF All Brass + Free Shipping on any order containing Nosler Brass! 10% applies to already marked down brass and Regular Priced Brass. Don't miss out on these incredible deals at the Nosler store. The entire store is on sale and supplies won't last long. 25% off entire store when you spend $100 dollars or more. Ready to ship rifles are selling fast and a wide selection of used rifles is also available. Get 10% Off All NoslerCustom Ammunition when you buy 2 or more boxes.